First avionics upgrade! - Good. Plane. Living. After having flown for 10 LONG months, my panel was starting to show it’s age, so… TIME FOR AN UPGRADE!!! Yup. That’s right! I’m swapping out both my audio panel and autopilot control panel. First, let’s talk about the autopilot control panel. 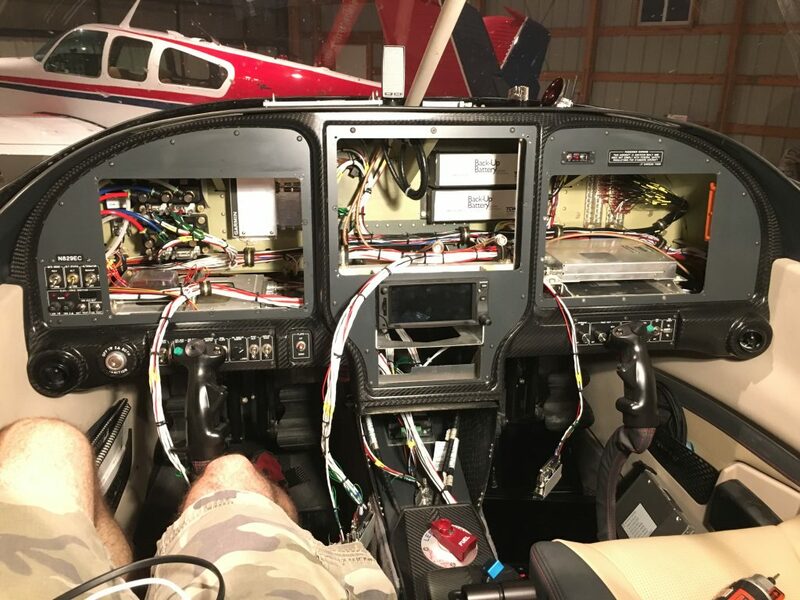 I had installed a Garmin GMC305 when I build the plane. These are great little panels, that give you dedicated buttons for (almost) all of the autopilot functions you need access too in all phases of flight. 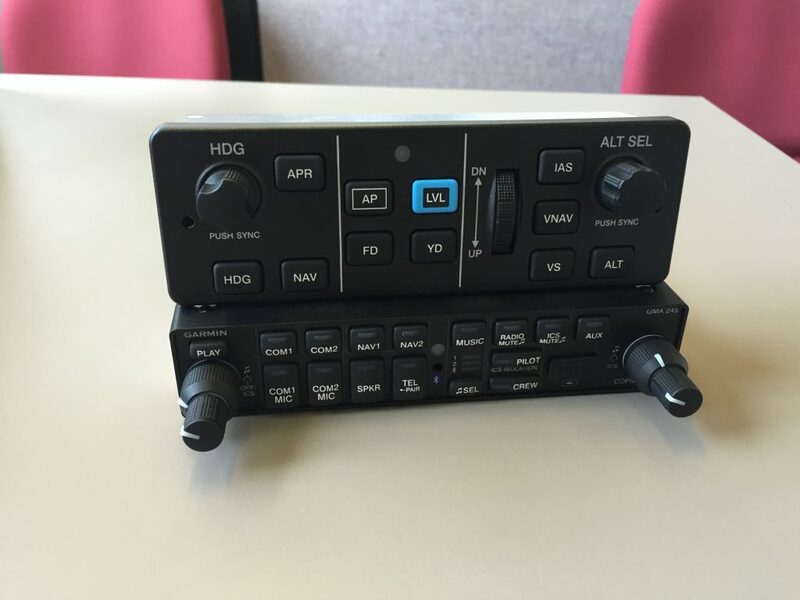 Well, before I even had my plane flying, Garmin released an updated version of the AP controller, called the GMC307. This panel was very slightly bigger, but the major improvement was that it included a dedicated heading and altitude selection knobs. Since the 305 didn’t have these knobs, you would just use the left concentric knobs on the G3X Touch for heading and altitude. This worked OK, but the two things I didn’t care for were that if I were hand flying (with my left hand) and I wanted to change my heading bug, I’d have to either switch hands on the stick to turn the knob, or reach across with my right hand to get the knob on the far left side. This isn’t a dealbreaker or anything, but it wasn’t ideal. 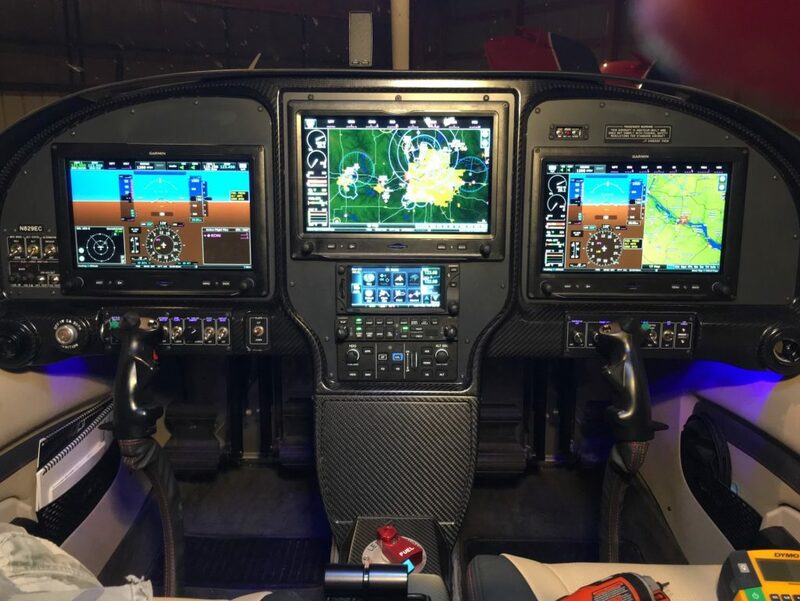 Secondly, I don’t know if it was because of how I used to fly a G1000, but at least half the time when I went to change altitude, I’d instead twist the right knob on the G3XT and change the baro setting. Well, the GMC307 fixes both of those minor annoyances, and I can already say that I really enjoy flying with it. It is a little bigger, but if you have the space, it’s probably worth the few extra bucks over the 305. The second part of the upgrade was the audio panel. I had been using the PS Engineering PMA450. This is PS Engineering’s flagship audio panel, and it is great. However, Garmin had to go and come out with something that fit my mission even better this year at Sun and Fun. Bastards. 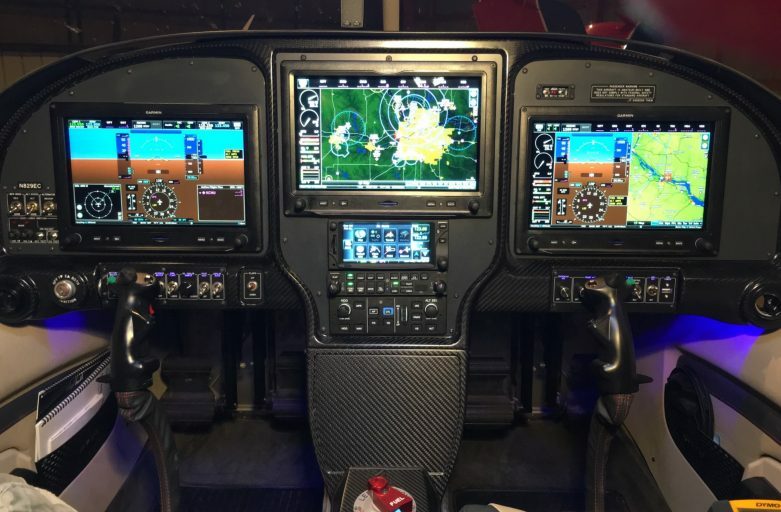 The Garmin GMA245 is almost exactly the panel I’ve been telling Stein that I wanted since I first started designing my avionics system. It’s an experimental panel (the PMA450 is certified), so it’s a bit cheaper, and it integrates right with the G3XT system. I can make selections either thru the physical buttons on the front of the panel, or make more indepth changes via the touchscreen, like distributing XM music to me, bluetooth audio from her phone to Colleen, and EJ’s iPad via wired connection to the rear seat passengers! Or any combination I want, just tap what you want to go where… easy peasy! 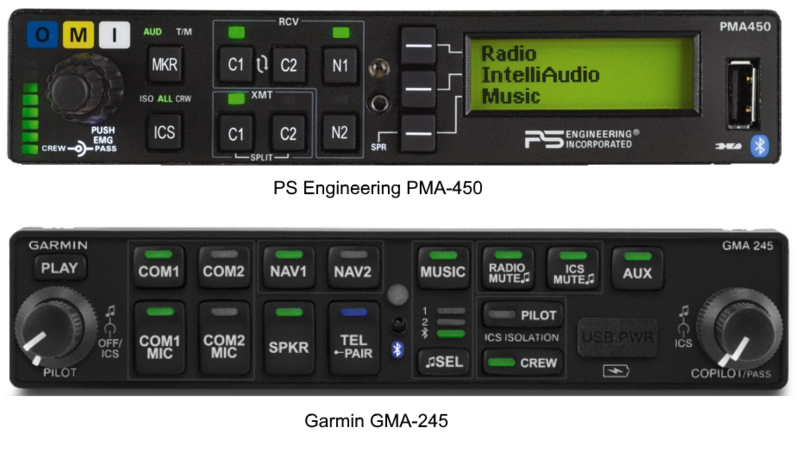 It also has 3d audio (like the PMA450), which I’ve found very nice to keep track of stuff when you have ATC talking, listening to an ATIS, and someone in the plane asking questions. (It also has an easy access Isolate mode!). Furthermore, it has dedicated volume knobs for Pilot Intercom, Pilot Music, Copilot/Pax Intercom, Copilot Music, and touchscreen settings for Rear Seat music volume. I find this setup MUCH better to change volume levels on all these different areas easily. Level setting was something I always struggles with a bit on the PMA450, but it’s a very simple thing with the GMA245. Having now flown a few times, I REALLY like the dedicated music volume knobs. I can be rocking out to some good tunes, but when a call comes across that I need to pay close attention to, twist the knob down, and I’m good to go. The one thing the GMA245 doesn’t have is marker beacon sensing/alerting, so if that’s critical to your IFR flying, take note! The upgrade itself was fairly straight forward. 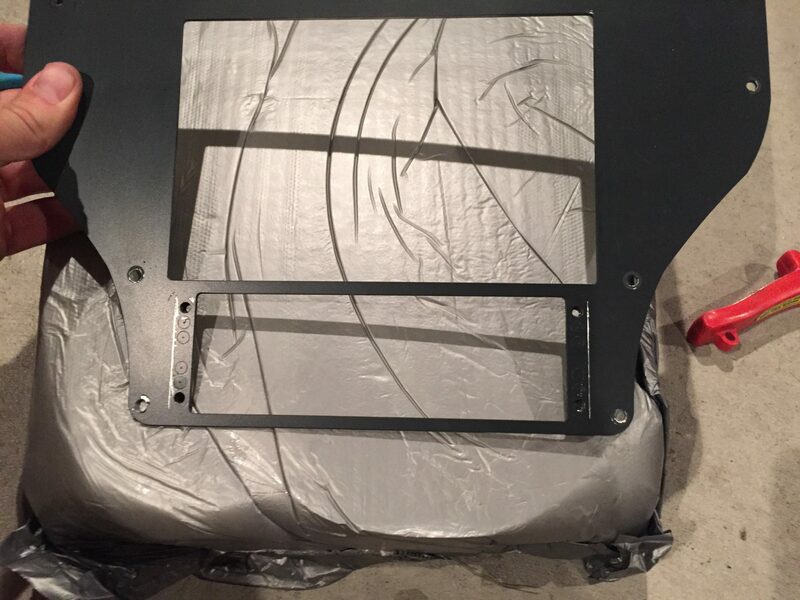 Because of the larger size of the GMC307, I did need to remove the center panel and trim the opening a bit bigger with a dremel. The wiring didn’t need to be changed at all. The silver score lines are where I cut, also removing the “crossbar” piece that was between the two openings. The GMA245 was a bit harder to install, but only because of the need to add the connection into the G3X CANBUS. 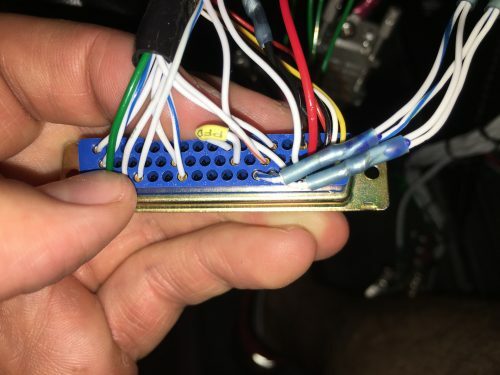 This meant that I had to open up one of the audio panel connectors, as well as another G3X device connector, in my case the PFD, as the CANBUS is a daisy chained circuit that connects all the components of the G3X system. One good thing about having 3 big touchscreens is that when you pull them all out (simple, 4 screws and a connector each), you have GREAT access to everything behind the panel! So, there you go. I’ve got a few flights behind the new boxes, and I couldn’t be happier with the way everything is working! Wow Ed, very interesting and impressive…I also like that Bonanza V35 in the hangar…that’s my sentimental favorite plane…that said, any plans to transition to Multi-Engine? The Bonanza belongs to the guy that owns the hangar that I’m in. It’s a beautiful plane… just freshly repainted, and upgraded with some very nice new avionics. I’ve always said that if I didn’t build an RV10, I’d be looking really closely at a Bonanza! As for the multi-engine rating… no plans. I’m going to get my instrument rating knocked out this fall, and after that, I’m going to put a bunch of time on THIS plane! Someday, though… maybe I’ll be able to convince Colleen to let me build an Amphib Aircam (https://www.youtube.com/watch?v=maoHutUGv4U), so I’d need the multi rating for that! Not even close! I’m spending all my spare time planning for avionics upgrades!